In my current version of life as a speaker and consultant I am thrilled to get invited to work across Canada. 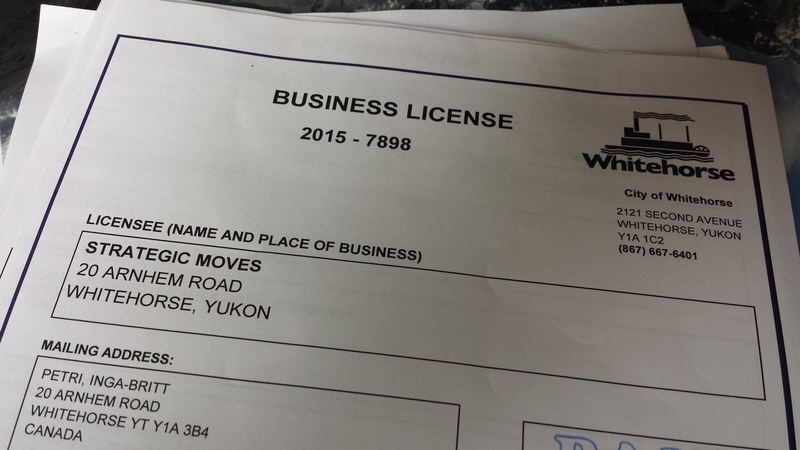 Then last year, I decided to actually live in two places about 5,000 km apart (Whitehorse, Yukon and Ottawa, Ontario). Already in my sixth year as a frequent traveler, I have had to find ways to not feel disconnected or plain lonely. It feels like I have finally found some groove in the last couple of years that keeps me socially connected and engaged with wherever I am. New movies on Air Canada. Great conversations with taxi drivers. That post reminded me about the spaces in between the places I go. As my travel schedule has grown I’ve come to focus a lot more on all the life that can happen in those spaces: like that hilarious late night conversation on the plane to Whitehorse the other day with one of the House of Commons staffers travelling with the Parliamentary Committee on Electoral Reform. Or that messenger chat with a distressed friend while waiting at the gate. Or talking to the mom with the kid that is having a terrible flight and not making her feel bad about her child being a child. Or drifting off on that after lunch nap on an Air North flight to YXY – while in my regular seat (yes, I always get the same seat when I check in on AN) – and listening to my favourite artist on my iPod. Or binge watching new movies on Air Canada flights. Some of my friends may be surprised that I rarely work while in transit … to me offices and conferences are for working. I’ve come to prefer to be in transit and see what life there holds in store. Of course, my friend managed expressed all that in the songpoet’s way in 4 half-lines! This entry was posted in business, relationships, strategic moves and tagged Written by Inga Petri on October 4, 2016 by Inga. Since 2011 my work has taken a decidedly national turn with many visits in every province and territory for research and consultations, training workshops, client projects and conference presentations and keynotes. To facilitate growing demand and durably expand my client portfolio I have opened a second office in Whitehorse, Yukon in September 2015. 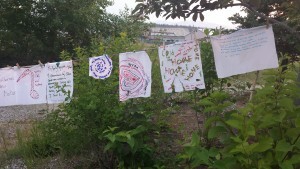 You might wonder why Whitehorse? It’s simple: I love the freedom of the Northern landscapes and its magnificent mountains and I have been making friends and working with colleagues who do inspiring work, leading work, at the edges of this vast country. 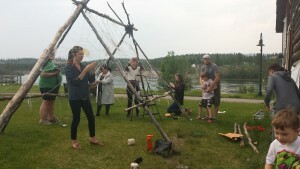 The Yukon has an amazing scene that makes Whitehorse and Dawson brim with arts and culture of all sorts; winters are even busier than summers for all the music, theatre and community activities. I am thrilled and grateful to work with remarkable clients in Ottawa, too. I take great care to ensure we have plenty of time for face-to-face meetings as much of the impact of our work together lies in the deeper discussions of research findings and insights and the decision-making on implications and next steps. As I have done for the first nine years of Strategic Moves, I continue to partner with research companies, marketers, creatives and digital whizzes whenever a project benefits from a larger team to deliver the desired results. Splitting my time between Ottawa and Whitehorse means I have a new favourite airline: Air North has established a twice weekly, direct flight between Ottawa and Whitehorse with a short stop-over in Yellowknife. That means a commute of merely 7 hours to shuttle between my offices: shorter than any other airline and usually cheaper, too. All to say, I am as accessible as ever and the high degree of responsiveness my clients are accustomed to will continue to be my calling card. I’m excited to increase Strategic Moves’ footprint and to see what new opportunities and connections it will bring about. 2015 Nuit Blanche Whitehorse – The Whitehorse Steam Laundry participatory piece by Sylvie Binette. 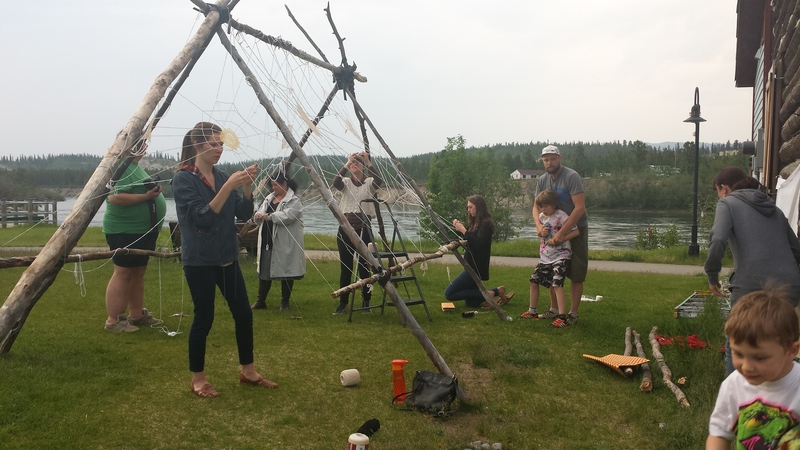 2015 Nuit Blanche Whitehorse – Doily Webs by Nicole Bauberger and Jessica Vellenga. This entry was posted in branding, business, innovation, leadership, network, strategic moves, vision and tagged Written by Inga Petri on September 15, 2015 by Inga. So why do we not need to have volunteers running mining companies, like they run community-based arts presenting organizations in many regions of Canada? Why do forestry companies not call for volunteers to support their operations or sales teams, as many arts organizations do? Why such a dearth of volunteers in integral oversight roles in fisheries or construction industries? Don’t worry. I get it. The performing arts is a sector where labour productivity can’t so easily be increased (that Beethoven symphony requires the same number of musicians today as it did when it premiered), unlike what has been achieved in those other industries through automation and machinery with ever greater capacity requiring ever fewer people. Yet, at the same time labour costs in the arts have to keep pace with inflation and cost of living for artists and administrators (well, that isn’t always the case, but still costs have risen while productivity has not). One response to what has been called Baumol’s Cost Disease means that it is hard to imagine the arts and culture sector existing to the degree it does in Canada without massive volunteer involvement. Volunteerism – doing useful things in an organized way without pay to make others’ and our own lives better – is a great attribute of being part of a vibrant community. Yet, especially in smaller communities in Canada, worries about attracting, training and retaining volunteers are common. People burn out from the demands of volunteering in the arts, volunteering at the local hospital and any number of charitable and not-for-profit organizations. “(…) Canadians who volunteer in the arts and culture sector gave on average more time (127 hours per year) than those in any other sector in 2010. This represents an increase of 21% since 2007, the largest increase of any sector examined at a time when 6 out of 12 sectors registered a decline. (…) When considered in terms of total hours, the amount of volunteer time equates to about 100 million hours. That is equivalent to more than 50,000 full-time jobs. The profound reliance on volunteers is even more evident among presenters of entire programming seasons in small communities under 5,000 people. They are less likely to have any staff and instead tend to be entirely volunteer run. These rural organizations rely on a day-to-day volunteer complement of an average of 36, with half reporting the use of 12 or fewer volunteers and half reporting more than 12. This increases to an average of 167 during the height of their operations. I wonder whether this reliance on volunteers is sustainable. And whether it is sufficient to off-set the cost disease that has been diagnosed. And whether it is makes sense and is fair that so many functions (we can look at them as potential full-time jobs) are filled by unpaid labour? While they do not address the underlying structure of the sector, each of these strategies has bought time for many organizations, even if not all in Canada, by generating needed income. Well, one place I will go is to the CAPACOA conference in Halifax, where I will discuss Digitizing the Performing Arts and explore whether that could be “the holy grail” to shifting the performing arts presenting sector’s structure toward a new model that suffers less from this dynamic. This entry was posted in business, economy, innovation, network, performing arts, strategic moves, strategy and tagged Written by Inga Petri on January 17, 2015 by Inga. This entry was posted in audience, branding, business, conversation, innovation, performing arts, research, strategic moves, strategy, Value of Presenting, web and tagged Written by Inga Petri on February 27, 2014 by Inga.